Assalamualaikum and good day everyone !! Now lets continue my hari raya stories. Last entry I stopped at eid day 4. Now lemme tell u what happened on eid day 5. I will try my best to write it in English coz i got a couples of comments that said, i should write my entries in English so that everyone can understand what i try to tell. Bare with me guys, my English is far from good. If there's any grammatical error, please do let me know. Privately or publicly, i don't mind both ways. We have this one group chat in Whatsapp, where we (Not we, but they. P/s : I'm just a silent reader) share stories, kata-kata hikmah, motivasi, nasihat and everything lah. So they planned to beraya at our teachers' house. And it was happened on eid day 5. Beraya at our teacher's house is like an annual grand meeting for 5KAA 2010. Only at this time we can gather ramai-ramai and meet our teachers. So first we gathered everyone at Tarmizi's house. 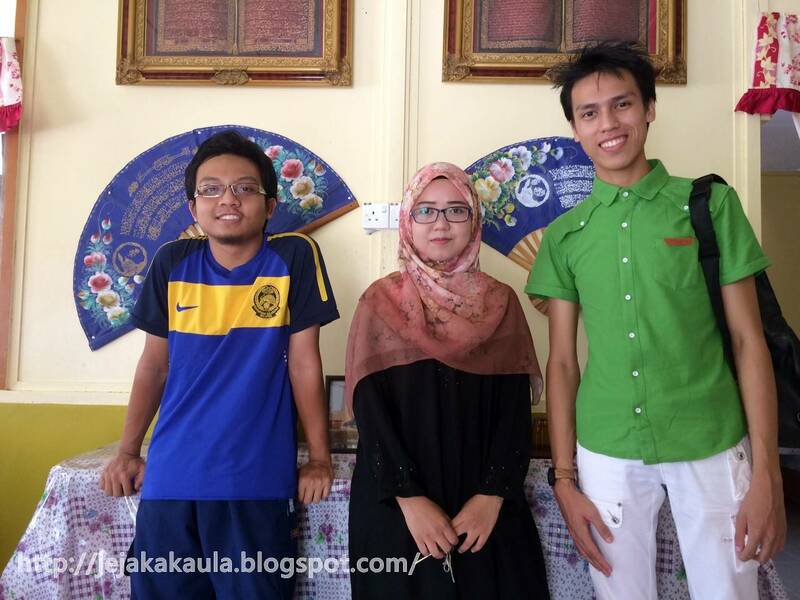 He was our class monitor back then when we were form 4 and form 5. After waiting for everybody to arrive, we were finally started beraya at Cikgu Hasni's house which is very near from Tarmizi's house. It's just walking distance only. And of course, dah habis berborak semua, it's time to take a group photo, together with our teachers. Then baru lah kita boleh tayang dekat khalayak ramai bahawa ukhuwah yang terbina amat erat sekali. I don't know why, but i don't really like to use the word ukhuwah. It sounds so poyo if i say or use it. Or maybe it's just my feeling. Syazwan's bermaaf-maaffan session and i was staring at him like, "Really, Wan ?" Our second house (or third house if Jiji's house is counted), was our guru Bahasa Melayu punya rumah. Also not very far from Jiji's house. i love coming to Cikgu Ghazali's house because he is funny and full sense of humor. Sangat berjiwa remaja lah kata orang tu. They were talking about formulas that Cikgu Ghazali has taught us in class to do Bahasa Melayu's essay. Really guys ? How lah ? I can't remember a thing. Once i answered on the paper, i will forget everything i have learnt. Sekian. Next, we went to rumah guru kelas kami, yang juga merangkap kepada guru Quran Sunnah dan Syariah Islamiyah kami. 2 years she held our class as guru kelas. She is like our mother at the school. And even now, we still rely on her on many things regarding hukum hakam lah. Before i went to America. I have asked several questions to her about this and that. When i was there also, i always refer anything yang aku rasa was-was and nakkan kepastian. She will always find the answers for my questions. If she don't know, she will refer to her kenalan yang punya ilmu so that dia dapat jawapan yang tepat. I always can count on her when it comes to hukum hakam nie. Ustazah Alizawaty was served bihun tom yam to us. OMG !! It was tasty. I loved it so much. But too bad the bihun was so sikit, it made me stop eating. Otherwise i will keep tambah and tambah. Last year she served laksa, this year was bihun tom yam, what about next year ? We'll see. 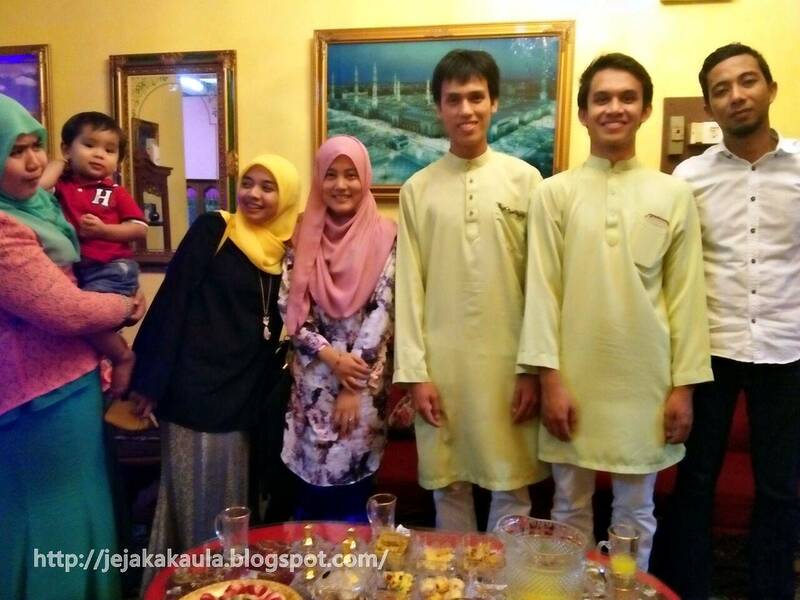 Then we beraya at our Addmath teacher's house, Cikgu Mariam. Cikgu Mariam nie lah yang pernah dulu cakap yang dia tak ingat nama aku tapi dia ingat yang aku nie selalu tidur dalam kelas dia. Sleeping in class is a good thing jugak rupanya because it makes you memorable. Habang bangga dikk. There was one kuih raya that was so freaking delicious. Apa benda ntah nama kuih tu, yang pasti diperbuat daripada roti dan disadur coklat. 1 balang kuih tu habis. Dahsyat kan. Ingatkan lepas balik dari rumah Ustazah Alizawaty tu, dah kenyang tak boleh nak isi. Rupanya boleh masuk lagi. Banyak betul saka nya. We then went to rumah Cikgu Math Modern kami, Cikgu Rahmah. She is also one of my favourite teachers as she is so cool when she's teaching in class. Always claim that Maths is easy. In fact, memang easy pon. Add Maths je lah yang menggagau sikit bila nak jawab tu. Suami cikgu pon guru dekat SMK Telok Datok tu tapi dia tak mengajar pon kelas kami. Aku tak ingat suami Cikgu Rahmah mengajar apa kat sekolah. Right after beraya at Cikgu Rahmah's house, we went to Teacher Norliza's house, our English teacher. We didn't know that she has moved to new house. 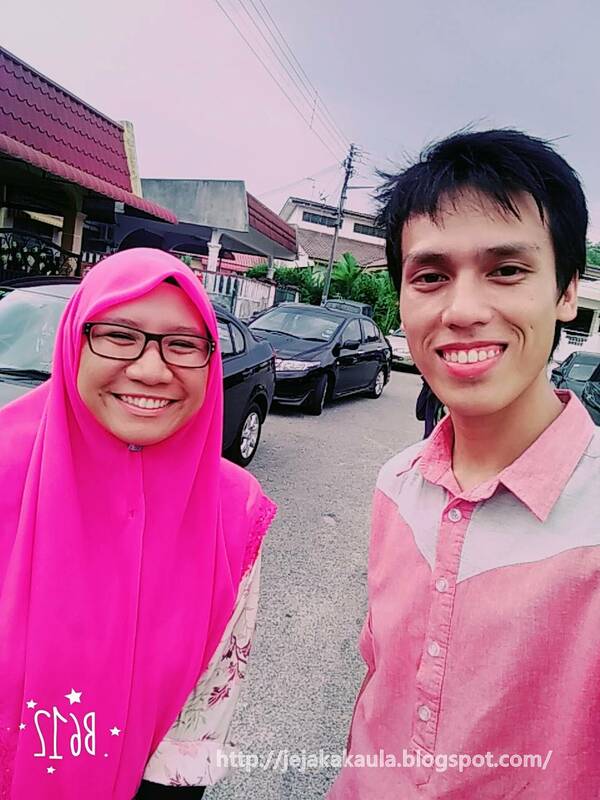 She used to stay at pengkalan TUDM Sg. Buaya. Eh aku nie pandai-pandai je Sg. Buaya. Aku tak ingat lah nama tempat tu apa. Is it Sg. Buaya ? Anyways, she moved to taman perumahan at Sg. Lang. Next to my village, Kanchong Darat. It's very near to my house. Her house has just finished from renovation. We were so excited to see her new house. BTW, before we went to her new house. My friend, Syazwan, called her to know where she has moved in. Then she was like please come late as she will preparing something for us. She's so funny. Her house is not very far from the place we stopped to call her. So we were waiting at the outside before she gave green light to us to come in. She served us Carbonara Spaghetti and it was amazing. I love it. I actually prefer bolognese over carbonara, but this one is worth of trying. So freaking delicious. And we were being entertained by her not so little son. I am so envy with his slang when he's speaking English. So americano I would say. At his age, he can speak very fluent English ? Hats off. He can be little annoying sometimes but you know, he's just a kid. He's super hyperactive. OMG. I can't handle him. And we asked him to take our group photo. He took so much time to take our photo. And guess what He only took one single shot of us. Sigh. Then we went to mosque to pray Maghrib prayer. Right after that we went to Ustaz Ishak's house, our Ustaz Bahasa Arab Tinggi. I were actually very exhausted at this time. I even fall asleep at his house. 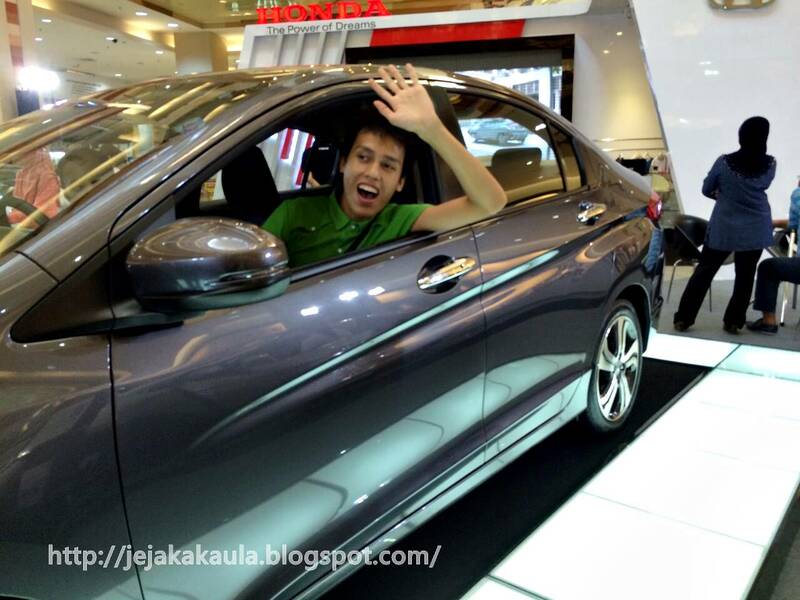 I were so surprised when I saw him because Ustaz look so skinny. He lost so many weight. I expected he's sick. And my guess was right, he has problem with his stomach. I don't know the exact problem is, but it has something to do with his stomach. And that was it. Kami beraya 7 buah rumah cikgu-cikgu kami. Dari siang sampai lah ke malam. Perghhh memang penat. 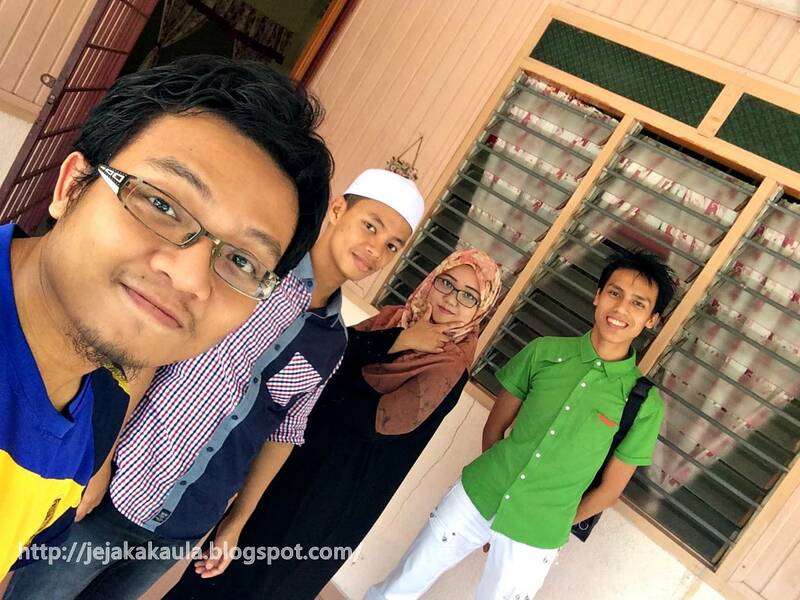 But we didn't stop there, we continued beraya to Fadzilah's house since it's near with rumah Ustaz. 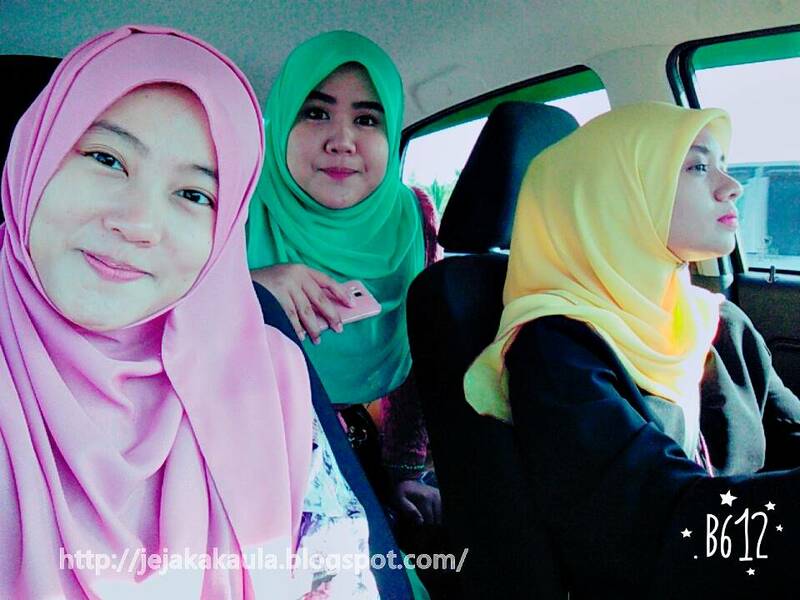 That's Fadzilah, black jubah with pink scarf. Guys kita makan apa erk kat rumah Fadzilah ? Aku lupa lah. Alhamdulillah kenyang perut kami semua. I thought that was our last destination before we went home. But i was wrong. They were deciding to play bowling at Banting Super bowl before went home. Goshh. I was dying, literally. All I want to do was to lay down on my bed and have a good sleep. Aku tak main pon, penat sangat. Lama dah kot aku tak main bowling. I was playing the snooker game. Tapi bukanlah main game snooker tu. There was one game that i played with my dorm mates when i was in America. The game is using pool table and two balls. It's pretty easy to play the game. It's simple but somehow, my friends didn't understand the game. Or maybe I was bad at teaching and explaining to them about the game. Sorry guys, my bad. Seriously best game nie kalau main ramai-ramai. I guess, there will be no more err i don't know what is the game's name. Rindu nak main game tu. Kelakar sangat. Selalu ketawa-ketawa bila main. Then finally we went home. Thank God. So tired but I'm so glad to spend my time with them. Bukan selalu dapat luang masa macam nie, dapat beraya rumah cikgu-cikgu. Hari raya jelah masanya. Hari lain semua busy. Ini pon tak sampai 1/3 ahli kelas 5KAA yang ada. Kalau nak kumpul semua memang payah lah. I think our first big gathering of 5 KAA 2010 was when we had our buka puasa at Hotel Impian Morib. I miss those moments. In case kalau nak baca, boleh baca dekat SINI . Baru cerita hari raya kelima dah panjang berjela macam nie. Haishh boleh ke habis kan cerita raya aku nie kat entri nie. Kang terpanjang sangat pulak. Takpe, kita sambung dengan cerita hari raya keenam. We went to our classmate's house. We sat next to each other when we were form 5. Always mengumpat while our teachers teach in front. However, we still got flying colors result. Ceyhhh, guna "we" padahal diri sendiri yang ado. What a great example of an excellent student. Adi called me and asked me whether i was awake or not. Of course i was not. It was 11 o'clock in the morning at that time. That is still my sleeping time. Excuse me, what kind of question is that ? That is Zuhair. The blue shirt. A dentist wannabe. We went beraya one house only. Seriously Adi ? You woke me up at 11 o'clock in the morning to beraya at Zuhair's house only ? You gotta be kidding me. Thank God they had planned to go to Aeon Bukit Tinggi for berjimba. Only three of us went to there while Zuhair had to go to work. Poor you Zuhair. Once we arrived there, we started doing what we used to do back then when we were seventeen years old, going to shopping mall and posing with everything we saw. I guess age is just a number and does not define your maturity. Belah malam pulak, aku suruh adik lelaki aku and Faries siap untuk beraya. I wasn't planning at all, it came out of my mind just like that. Pop ! Kami pon pergi beraya. I went to ambush Adi's house. Now he's turn to get ambush. Pagi tadi punya beriya nak serang rumah Zuhair kan.
Now, aku pulak yang buat. Dia nie ambik kos architecture. So malam tu dia tunjukkan lah semua assignment-assignment yang dibuat selama ini. I was quite impress with his work. I know he's going to be a great architect one day. Good luck Adi ! Next, i went to Syazwan's house. I didn't manage to go to his house last year, but this year i did. He also shocked when i told him that i was about to come. Jarang dapat berjumpa dia nie, setahun sekali je kot. 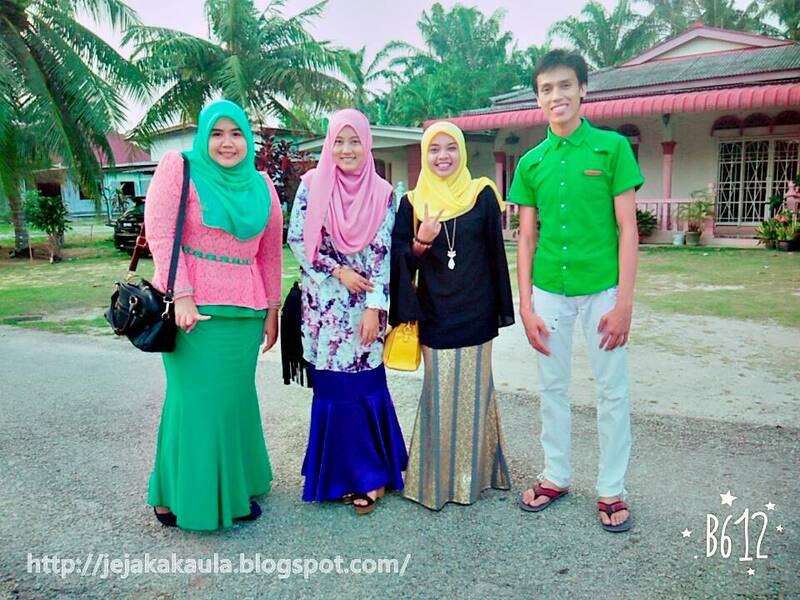 Itupon time raya. Yelahh, orang belajar jauh nun di India sana, doctor wannabe. Susahlah nak jumpa kan. I will make my way there one day. You wait for me Wan ! I have no idea where to go on hari raya ketujuh since everyone has started school, practical and work. So i was just staying at home and waiting my guest of honor to come to my house. Lepas dorang balik, aku pon siap-siap nak pergi rumah Neesa pada belah malamnya. Senang je rupanya nak cari rumah Neesa nie. Malam tu kami dihidangkan mee goreng yang maha sedap dan kuih tart buah-buahan. Eh ye ke itu nama dia ? Memandai je aku nie. And semua kuih raya rumah Neesa nie, dia buat sendiri. So impress ! Pandai kau buat kuih ye Neesa. 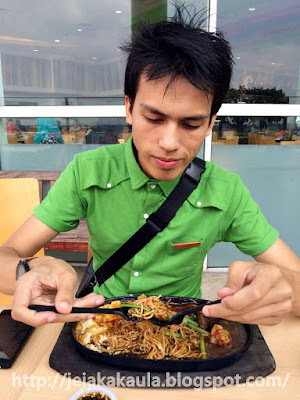 Sedap-sedap semuanya. Siap mintak bungkus lagi fruit tarts nie. Ko ado ? 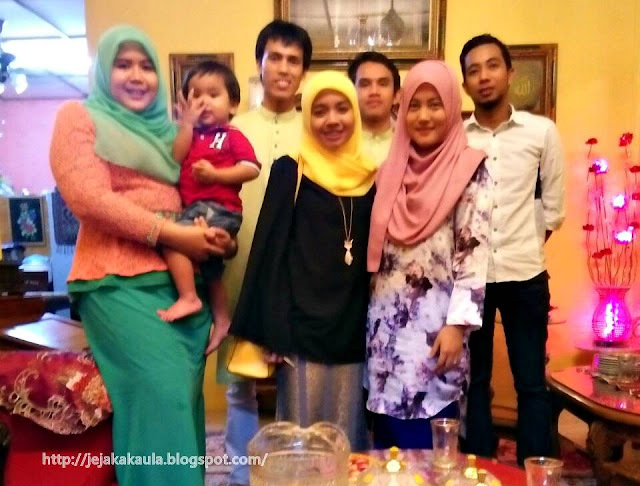 Hari raya kelapan sesi beraya rumah jiran-jiran bersama sanak-saudara. Aku sempat beraya dua rumah je. Lepas tu dah kena balik sebab kawan-kawan aku datang rumah. Haishhh potong betul lah dorang nie. Dah dua tahun berturut-turut ko beraya rumah aku pakai seluar pendek erk Arumi. Kali nie takpe aku maafkan, sebab baru lepas accident katanya. Tahun lepas tu yang tak boleh blah. 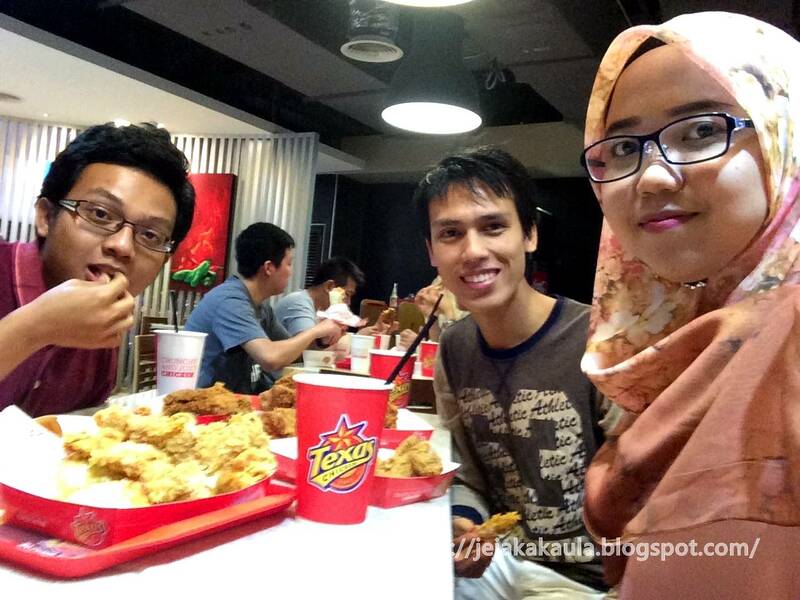 I followed them to go to one of ex-staff Pizza Hut Banting's house. They both also ex-staff Pizza Hut Banting. Unfortunately, budak yang dorang nak pergi beraya tu, tak ada dekat rumah. Alang-alang dah berjalan nie, kitorang terus menuju KLIA2. That was my first time went there. It's huge. Pada belah malam, we continued beraya at our neighbor's houses. Pon dapat dua buah rumah je. I bet everyone is busy after a week of eid. Seems like everybody was not at home. 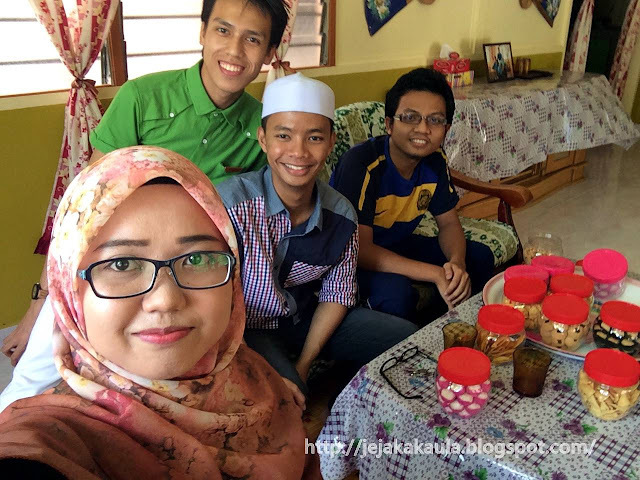 Pergi open house rumah kawan si Faries dekat Telok Panglima Garang. Temanya adalah warna-warni aidilfitri. 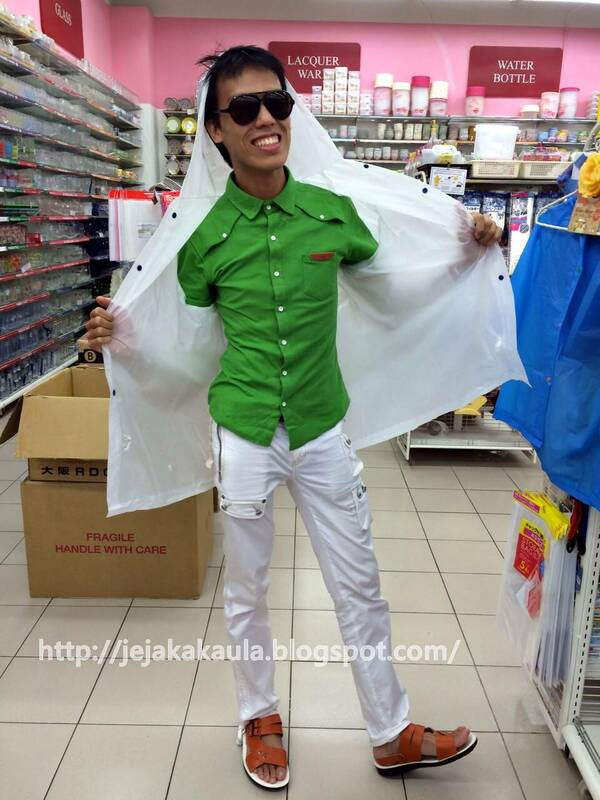 Kitorang punya gigih datang siap bersamping bagai, sekali sampai sana orang-orang yang datang mostly semua pakai baju biasa je. Dorang tengok kitorang pelik semacam je. Ahh sudah. Maaf tiada gambar. I have actually and it's ughhhhhh-lyyyyyyyyy. Feel like not to upload it here. Since nothing happened after eid day 10, so lets skip it to eid day 17. Coz i got an open house to attend. I got an invitation from my senior, Najwa Ashim, to come to her open house event. Kebetulan aku tengah berada di Negeri Sembilan ketika itu, so aku pon ambil kesempatan ini untuk ke rumah dia. I'm so glad i did. Aku rasa, ini baru lah betul-betul yang dinamakan open house. Pelbagai juadah dihidangkan. Antaranya, ada kambing golek, nasi arab, spaghetti bolognese, lontong, satay and macam-macam lagi lah. Banyak gila juadah yang disajikan buat tetamu. Menu yang paling menarik adalah jambu batu kulit limau. OMG ! Seriously sedap. First time dengar and first time rasa. We got to taste a dessert made by her. Refer the picture above. I have no idea what is the name. But one thing for sure, the taste was amazing. I love it. I am 100% sure it was made with love. Sangat sedap ! So that was my hari raya 2015 stories. Alhamdulillah, it was amazing. Hopefully, next year will be more amazing than this year. We'll see what God has in store for me in the future. I hope it is not too late to say Selamat Hari Raya Maaf Zahir Dan Batin to all people in the world. Andai kata ada salah silap, sengaja mahupon tak sengaja, mohon dimaafkan. Saya insan tak sempurna. Kosong-kosong tau ? 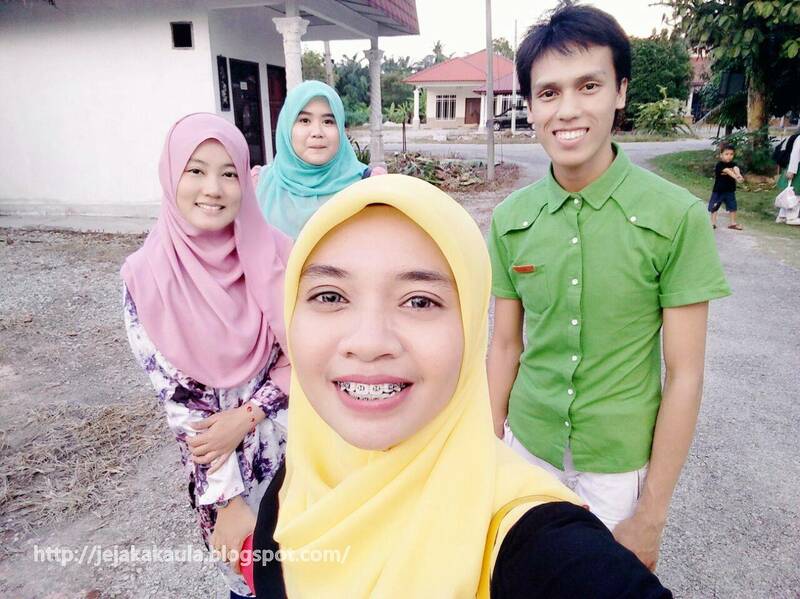 Seronoknya beraya dekat rumah cikgu-cikgu dan rumah kawan-kawan. Nak join korang juga. Agak-agak tahun depan akan buat konvoi lagi ke? Kalau buat, aku nak balik beraya dekat Malaysia. Kalau tak, aku beraya dekat Canada je la. hahahaha. aku rasa benda konvoi ke rumah cikgu2 nie memang annual grand meeting KAA. hahahahha.